How our fantasy can be another person’s reality. When she first heard her work described as surreal, visual artist AiRich couldn’t understand why. After all, to her, it seemed perfectly real. In her talk, the Afrofuturist implores us all to question what we see as alien and understand the surreal as innately personal. Listen to her discuss her quest to combine realities in her artwork and how she takes inspiration from surrealist artists such as Salvador Dali in her efforts to channel the unconscious mind. AiRich (25) is a visual artist from Amsterdam. With her work being often described as a fusion between futurism, afropunk, surrealism, fantasy and psychedelic art she connects the past, present and future. Deciding which models to work with is a complex process because she has to look for individuals who possess the right combination of a characteristic and artistic presence. She knows that finding the right people already “solves half of the work”. 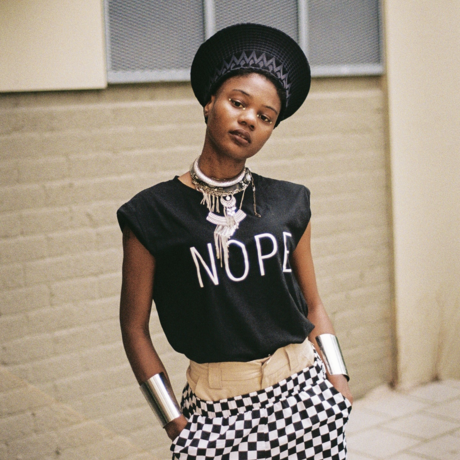 While her art is fuelled by her imagination and a fascination for people, it is shaped by her direct environment in which colour, culture and global voices (particularly from Africa) are a strong influence. AiRich loves art and everything it entails, and her work is a personal translation of how she observes and interprets art.